Extracting sugar is sticky work in more ways than one. 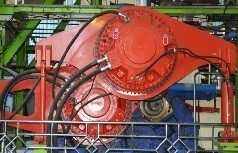 Tough raw materials and a tough environment make it a challenge to keep things running smoothly. 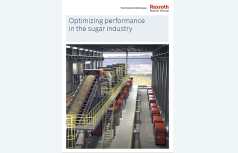 System solutions and sugar mill machinery drives from Bosch Rexroth stand up to the harshest conditions, providing the power and control to get the job done right. Compact and weight-saving, they simplify your process from intake to outflow. And in between, they let you adjust your rollers, infinitely varying the speed for added milling performance. 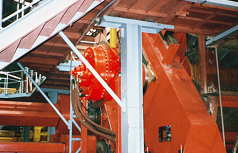 With our extensive experience from many sugar mill industry projects over the years and expertise in our system solutions, you can rest assured that your milling process is in reliable hands with our flexible system solutions. 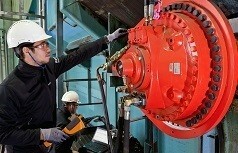 Regardless of environment or technology, we have the solution that will help you maximize production. Our space-saving and modular solutions will prepare you for the demands of today and tomorrow. The rugged and reliable system solutions are easy to maintain and upgrade should your needs change.